In partnership with UNWTO- ST-EP Programme, the PATA Foundation is pleased to offer its funding to turn this historical site as tourist attraction, whereby local community can further benefit from the development. The story of Viengxay lies in the personal accounts of some 23,000 laotians; rice farmers, wives, school children, soldiers, monks, political leaders who endured incredible hardship as they struggled to continue their lives, during the nine years of aerial bombardment in a “secret war”. The grant will be awarded to the Kaysone Phomvihane Memorial Tour Cave Office to fund the research and development of an audio tour and related promotional materials on the “Viengxay Story”, into three languages: Lao, Vietnamese and English. PATA members the Lao National Tourism Administration (LNTA) and the Netherlands Development Agency (SNV) are working together to develop the caves as both a tourist destination and a “world peace site that focuses on poverty reduction and the needs of local people”. Between 1964 and 1973, up to 480 caves in Viengxay district in Houaphanh province in Lao’s northeast were transformed into a de facto city. Houaphanh is the poorest province in a country where 40% of the population survive on less than US$1 per day. 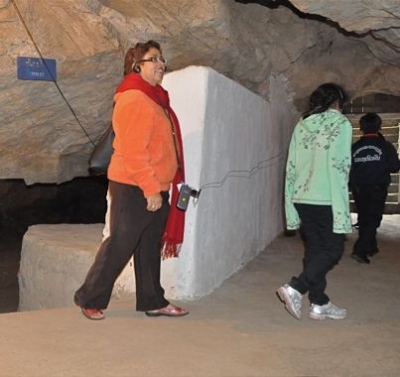 With the opening of the caves, tourism is being heralded locally as a vital tool in the fight against poverty.